After an initial delay the Pebble Time smartwatch app is now available for iOS, allowing you to use the wearable with Apple devices. 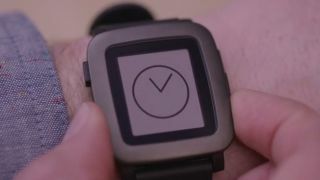 The app was held up as Apple reviewed it, and as the Pebble Time is a competitor of the Apple Watch, it was feared that Apple might be dragging its heels – or would end up not approving the the app at all. A social media campaign was orchestrated by Pebble to get its customers to "kindly" let Apple know that they wanted to see the app released on their platform. We're not sure how instrumental this campaign was in getting Apple to approve the iOS app, but it's now available from the App Store to download. If you have an Android device, you can download it from the Google Play store instead.